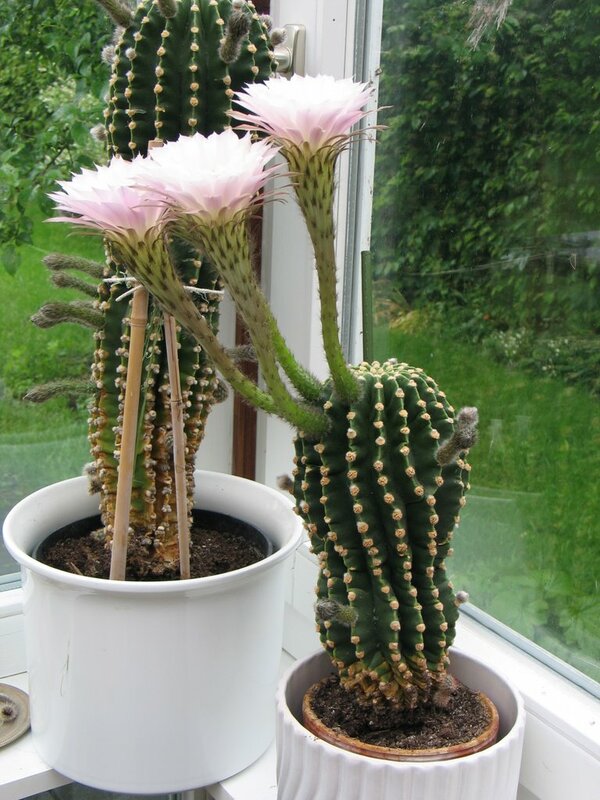 One December many, many years ago a little cactus and its brothers got purchased by a very thoughtless woman. In case of the little cacti thoughtless to the point of evil. Like many thoughtless women she is mainly occupied with making cute gestures. That year she gave all of her birthday guests a little reminder of the nice party they had attended - a cactus. And what with Christmas not being far away she sprayed all the cacti with snow spray. Awwwwwwwwwwwwww, lookey, how cute! 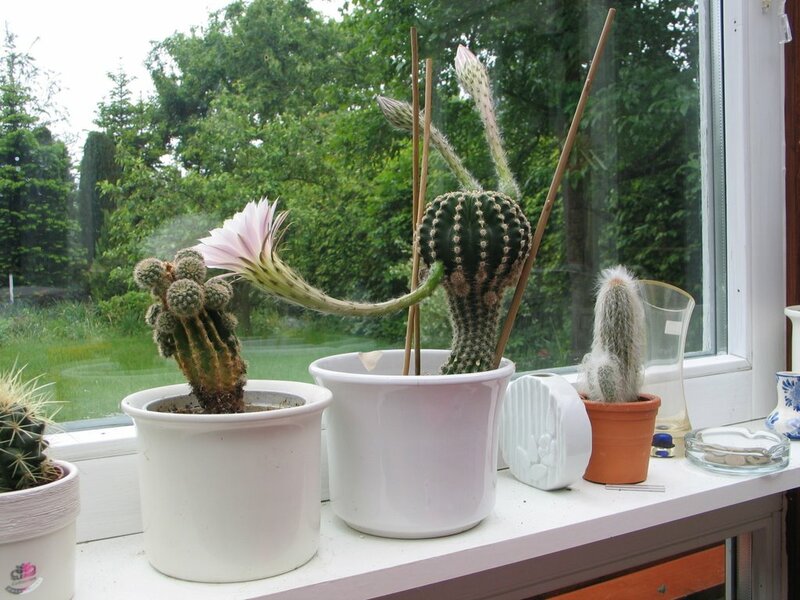 Lookey how cute the suffocating cacti look! Awwwwwwww! I presume the little cactus’ brothers all died a slow death, but let us not dwell on this. 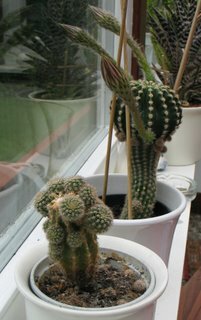 One little cactus was given to us, and we - fuming with rage (and getting covered in thorns) - scrubbed the little cactus as gently as humanly possible clean under running warm water. Not all of the spray came off, and some thorns were lost, but after a long period of waiting and watching the little cactus it became clear that it had survived. It started growing, further cracking up the spray remains and enlarging the clean surface areas. Brave little cactus! All those years it slowly grew, but it never came to real health. It grew very crooked and with a “waist” that was way too slim for it. One fatal day not too long ago the not so little anymore cactus fell off the window sill, breaking in two! Not wanting to give up on the more healthy upper part of the cactus yet, our father tried planting it into a flowerpot. And it survived. 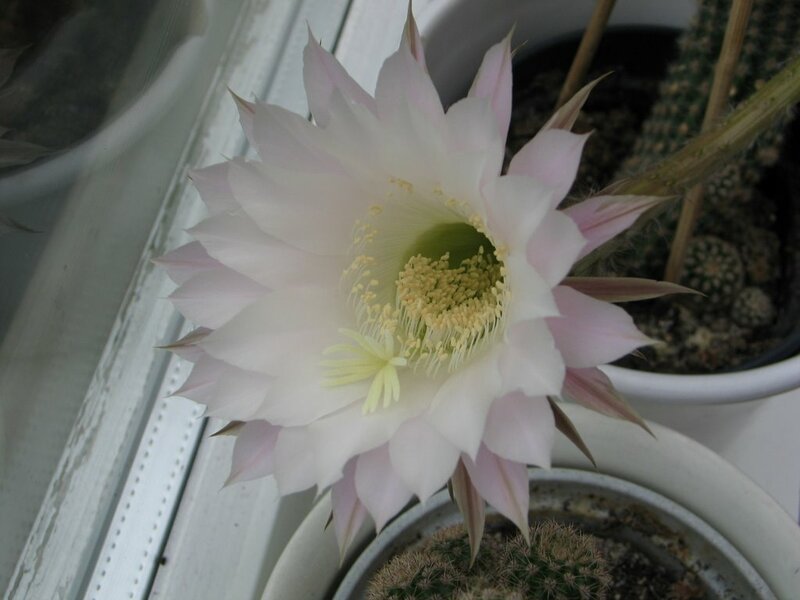 And now, after all these years, this upper part brought forth its first blooms ever. 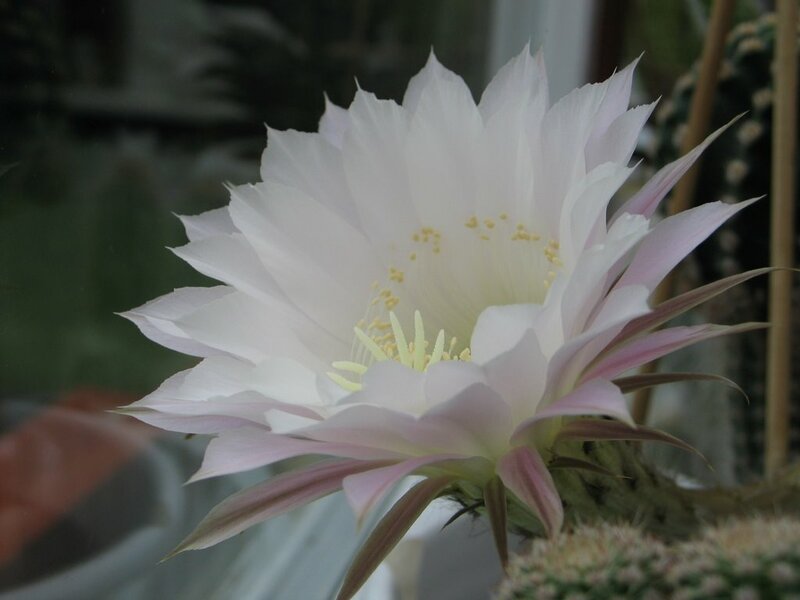 We never would have thought it from the bedraggled and crippled way the cactus used to look, but the blooms proved it to be our third (and fourth?) 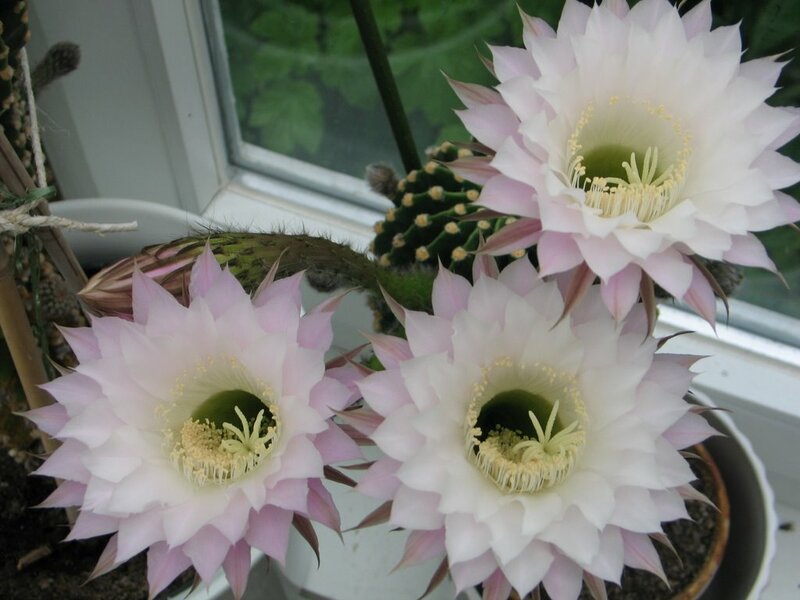 Königin der Nacht (Queen of the night). And - lo and behold! - last night the little cactus opened its very first bloom. I suppose the others will follow suit tonight. You are currently browsing the Melantrys’ Page weblog archives for May, 2006.